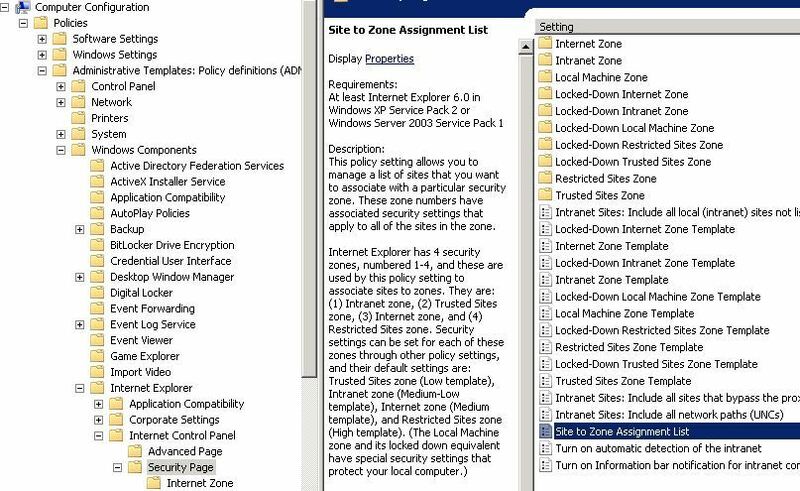 You want to have a URL added to everyone’s “Trusted Sites” list, and to avoid visiting each machine you want to use Group Policy, Or users don’t have the rights to do this themselves and you want to add one for them, i.e. the URL of your corporate CRM System. 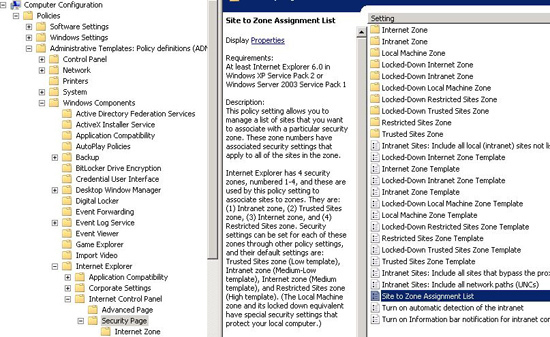 Computer Configuration > Policies (This level is on Server 2008 only) > Administrative Templates > Windows Components > Internet Explorer > Internet Control Panel > Security Page > Site to Zone Assignment List. 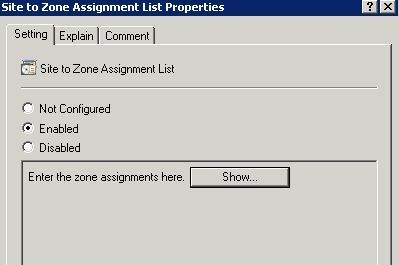 Click “Add” > Enter the URL in the “name of the item to be added” > Enter the number 2 in “Enter the value of the item to be added” > OK > OK > Apply > OK.